A church in Punta Arenas received three teams of Logos Hope crewmembers over three days. Each day focused on one aspect of the Ship Ministry's purpose and applied it creatively as the church members learnt about sharing knowledge, help and hope. The team that visited the church on the second day worked together with the local believers to show practical help to people in the community. The church provided its building and facilities while the volunteers provided reading glasses and dental equipment. The pastor vacated his office so that two of the ship’s crew, who are dentists, could used it as a treatment room, while another group tested people’s eyesight in the church sanctuary; determining the reading perscription each person required. Toby Gruber (Germany), who works in Logos Hope's Help Ministries team, explained that experiencing the work he usually plans for crew was unique for him: “It is important to see how we help people in a practical way. When we give the glasses to people who cannot see well and they suddenly say, ‘Now I can see,’ the joy on their face is visible,” he said. Scripture says, in James 2:16: “If one of you says to them, 'Go in peace; keep warm and well fed,' but does nothing about their physical needs, what good is it? In the same way, faith by itself, if it is not accompanied by action, is dead.” This verse motivated Toby throughout the day, as it reminded him that serving others is a way of serving God. Through the help provided, Ángela could have deeper conversations with people, one of whom had the conviction that God had brought her to the outreach to speak to her in a personal way. Others said they would attend the church in the future. “We are one in Christ. There are no limits of nationality or age, to serve the Lord and know Him,” Ángela declared. One hundred and forty-nine pairs of reading glasses were given out, free of charge. 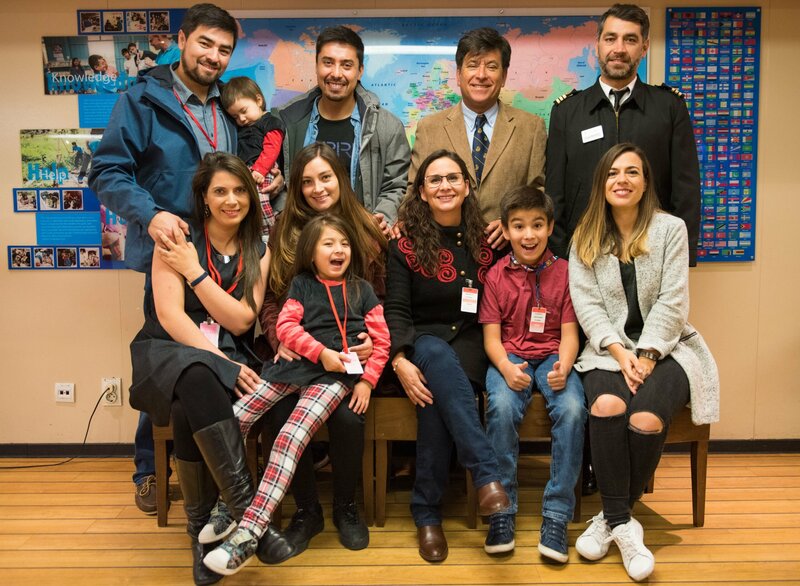 As for the ship's dentists, both said they enjoyed being able to serve the community by providing them with their dental help and looked forward to helping in similar ways again.